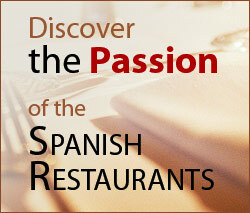 Looking for a fine restaurant for your next travel to the beautiful Malaga? We have carefully selected only the best Spanish restaurants in Málaga, five of the top Spanish restaurants in all parts of the city and its surroundings. Málaga is a city which possesses a perfect position on the Southern coast of Spain. It is called the capital of the Costa del Sol as it is full of beaches, always blessed with gorgeous weather and wherever you are, you always have an endless sea view. Aside from the coastal part of the city of Málaga, there are also other natural wonders to behold such as the two magnificent rivers, one of which runs right through the city centre. Towards the inland section of the city, there are huge mountains that also provide a fantastic view if you ever get bored of the sea. Málaga is a great mix of cultures, especially as it is one of the top tourist destinations in Spain meaning that it is full of tourists from different nationalities. The restaurants and cuisine to be found in Málaga also reflect this as there is a wide variety of cuisines and styles of restaurants visible in the city. Some of the best dishes to try when you visit Málaga are the fish and seafood dishes which are always fresh thanks to the ample amount of produce brought in to the ports along the Andalusian coast. The city of Picasso is depositary of the finest Andalusian culinary tradition, and offers an excellent array of establishments to prove it. Below these lines you can take a closer look at five of the best Spanish restaurants in Málaga, and can look even closer into each of them by clicking on their name. El Lirio is a maritime themed Spanish restaurant in Málaga which sits along the edge of the Spanish coast. This Spanish restaurant produces some of the best fish dishes in the city as well as providing a homage to the nautical history of the city of Málaga. La Rebaná is a Spanish restaurant in Málaga is run by the head chef, Carlos Caballero. He uses this restaurant to show off the best in his modern Spanish cuisine. However the restaurant is actually much more traditional, the restaurant being housed in an old convent. The juxtaposition between old and new allows you to appreciate both elements of this restaurant in harmony. La Reina Zingara is most certainly a unique Spanish restaurant in Málaga which combines great Mediterranean style food with hints of Italian cuisine with the magic and mystery of the gypsy culture which is typical of the South of Spain. If you like your magic and the supernatural, then this is definitely the place to go when you visit Málaga. The Restaurante Alea is another Spanish restaurant in Málaga which combines the elements of old and new to create a unique experience. The Restaurant Alea is housed in an old windmill, which used to be commonplace along the South coast, and it specialises in serving fine food from a variety of different cultures including Spanish and Japanese. Vino Mío is a Spanish restaurant in Málaga which is dedicated in part to the love of great Spanish wines, as the name suggests. This restaurant also combines fine food from Spanish cuisine with other dishes from international cuisines to produce artistic dishes to please any palate. If that wasn't enough, this restaurant is also passionate about the Spanish art of Flamenco dancing.